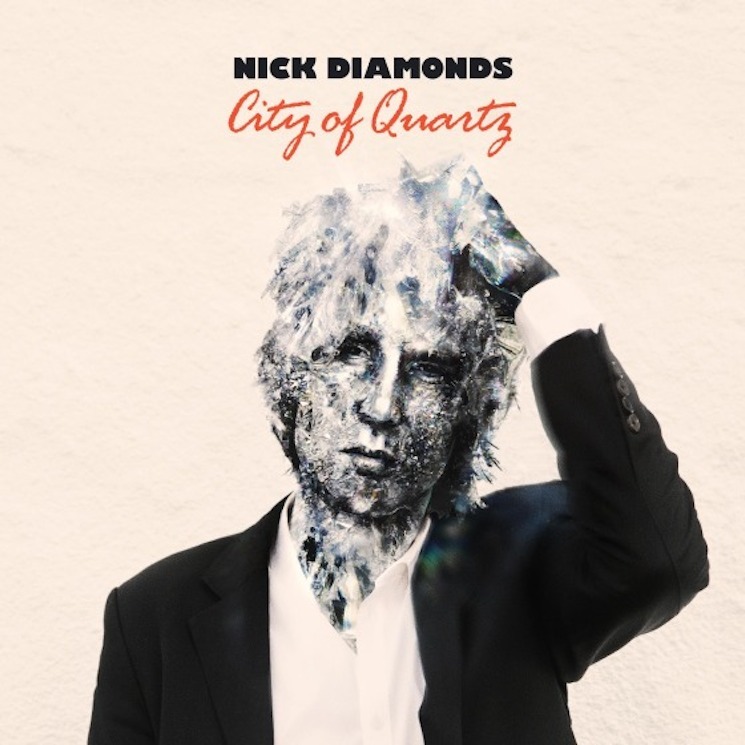 Islands leader Nick Thorburn has offered up yet another sparkling preview from his forthcoming City of Quartz release as Nick Diamonds. This time, we get to learn all about the guy's self-described "Bohemian Groove." It's a carefree dance number, with a series of warped synths, shuffled beats and wind-swept guitar strums linking up behind Diamonds' laissez-faire lyricism. "Let's misbehave, they'll let us do whatever we say," he sings early on, ahead of proposing he and a pal head out on a nice long walk before getting into a fist fight. Though there's definitely more than a hint of existential futility at play, here ("You drive away/Backwards or forwards, I cannot say"), it's ultimately a fun little ditty to dance the night away to. You can stream it down below. City of Quartz drops May 26 through Manque Music.